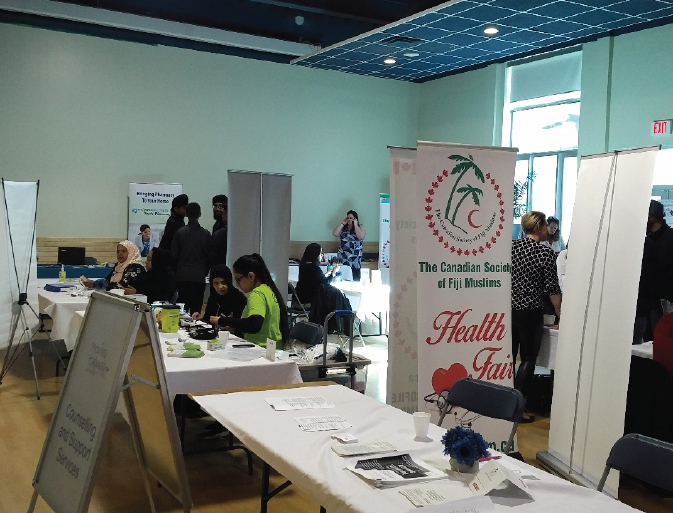 On October 21st, the Canadian Society of Fiji Muslim in collaboration with BC Muslim Association organized its Annual Health Fair at Masjid Al Salaam & Education Center, Burnaby. Over 20 healthcare providers from across Lower Mainland participated in this event and provided insight in to recent health research and educated audience on maintaining a healthy life styles. Rx Care Pharmacy, Fraser Health, Derna Dental Clinic, Young Living Essential Oil, etc. Radio Bula Masti provided live coverage of the event. Approximately 200 people from across lower mainland attended the event where healthy lunch was served. The event concluded by prizes distribution to participants courtesy of Canadian Society of Fiji Muslim and participating vendors.